Believe it or not, home design really matters. It turns your home into a place that defines you and reflects your personality, dreams, and desires. Through its lenses, everyone can see your personality in reverse. You feel safe and ready to kick back, relax, and enjoy being yourself at any time. 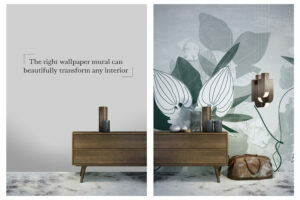 Wallpaper has always played an important role in enhancing interior design. Once considered a background decor, it has become a foreground decoration in the past few centuries, proving to be a most durable fashion and a symbol of home and comfort. In today’s world, with so many wallpaper designs and trends, the way we use it has a significant impact on any decorative scheme. 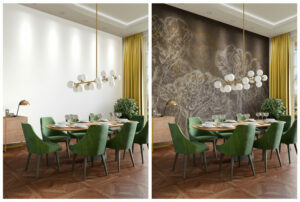 Check out the top ways wallpaper enhances the design of your home below. The right wallpaper can dramatically boost the decorative success of your interior. It directs towards a particular style that eventually influences the choice of the other furnishings in the room. If you think about it, wallpaper provides a vivid evidence of your taste and impacts the mood of anyone entering your home. Bricks Roses | Shop here. 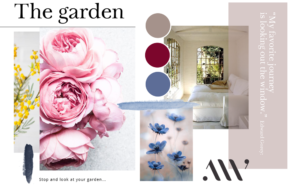 When designing your home to appeal to your senses, think about the wallpaper you use – it should reflect who and what you are. It always brings back fond memories and makes you dream about your future. Whatever the colour or texture you’re looking for, we have something for everyone. And if we don’t, we’ll create that extra special something, just for you. Without a focal point in your room, you’ll never feel totally at ease. It’s the star of the design and also the first thing viewers notice when they enter the room. 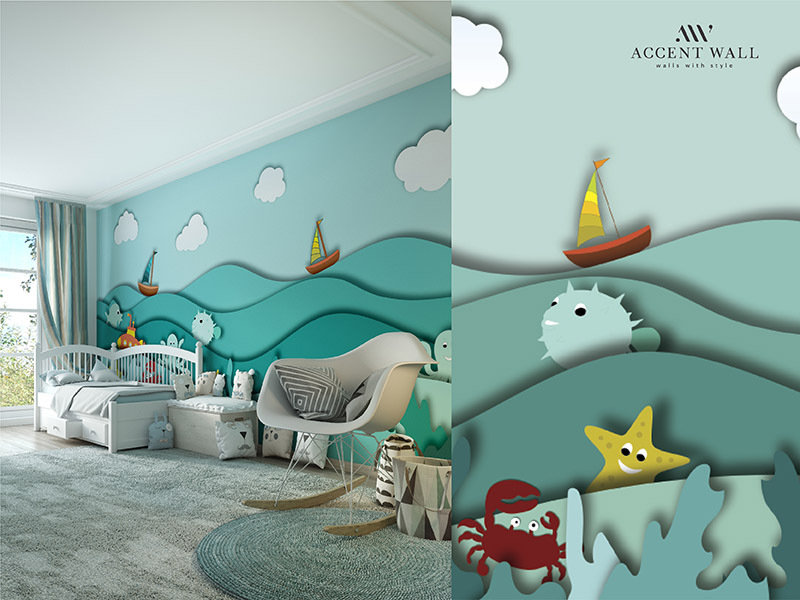 An accent wallpaper makes a great emphasis point around which you can build the rest of your design. 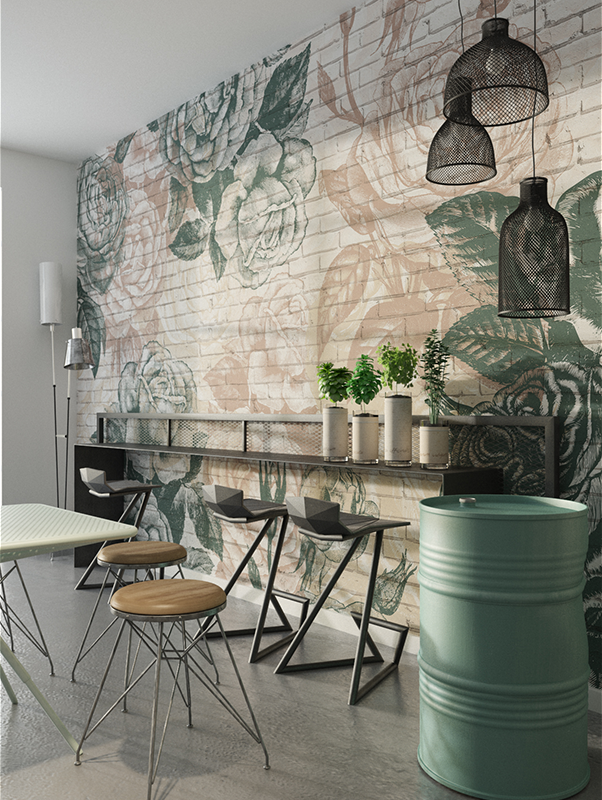 A trend that is really taking over is the art-inspired wallpaper. Artwork is merged into wallpaper so that you can get more art into places where there was none. Cover any wall with a creative designer wallpaper and believe us when we say that it will make a huge difference in your room. Abstract Painting | Shop here. 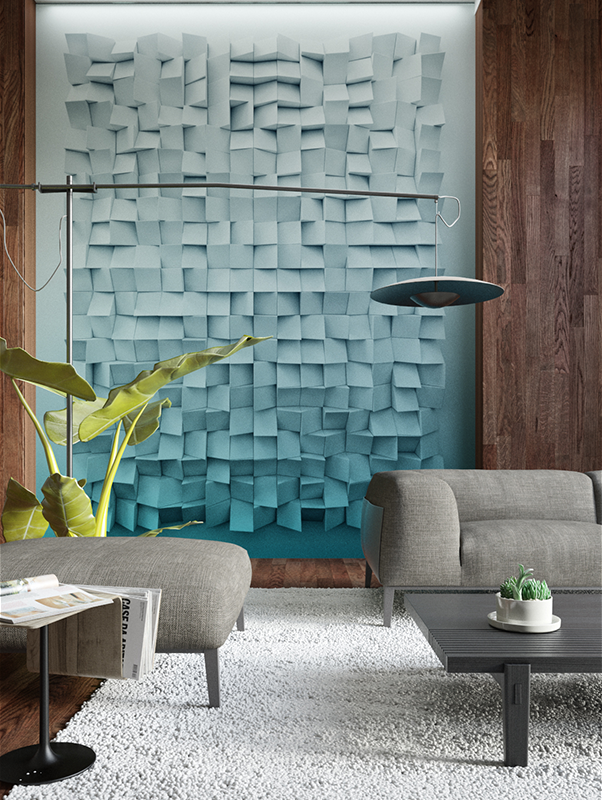 Ready to go for the accent wall of your dreams but don’t know where to start? 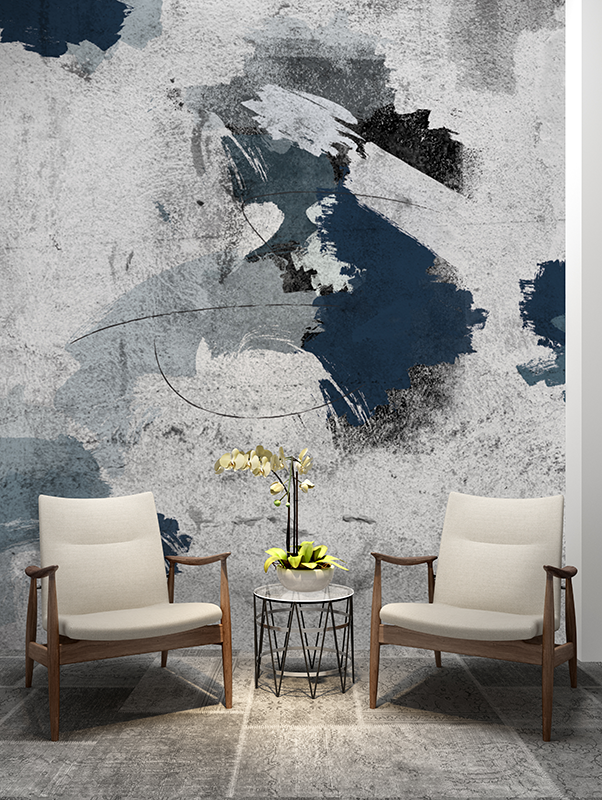 Browse our full collection of wallpaper murals here or get in touch with us here if you want that extra special something created just for you. It’s really as simple as that: you provide the challenge, we take care of the rest!